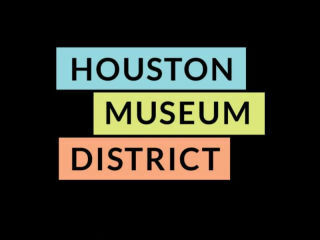 The Museum Experience is a cultural block party featuring select museums, free pedicabs, special programming and family friendly activities, featuring Children’s Museum of Houston, The Health Museum, Houston Museum of Natural Science, Houston Zoo and Rice Gallery. Children’s Museum of Houston presents the timeless favorite How Does It Work? debuting new components, including airwaves, ball coasters and more. The Health Museum honors National Childhood Cancer Awareness Month with More Precious Than Gold including hands-on activities and special appearances. Guests can also help create paper carnations and felt roses to be delivered to children’s hospital rooms. The Houston Zoo and Kelsey-Seybold Clinics challenge families to let go of electronics. Get Out and Play offers a variety of games and activities for the entire family. Be sure and check out the KelseyBear Kidz Clubhouse and the KelseyBear Store. Rice Gallery presents Intersections, the 2014 ArtPrize award-winning installation by Anila Quayyum Agha. Agha uses light and cast shadow to transform the gallery space into a place that alludes to Islamic sacred spaces dense with geometric ornamentation and pattern. Ride the railroad around the park or pedal boat around McGovern Lake in Hermann Park and stay for an evening performance of Salsa y Salud 2015 at Miller Outdoor Theater which promises to be a fiery evening of eye-catching dance and world-class musicianship.